The consumer goods giant beat sales expectations, but warns there could be trouble on the horizon. If there’s one quality Unilever has in spades, it’s longevity. The consumer goods giant, which came out on top in MT’s Britain’s Most Admired Companies this year, was one of only two survivors from the first top 20 list back in 1990. That resilience is reflected in its latest results, which showed the maker of Ben & Jerry’s ice-cream, Flora and Dove, had a solid 2015. 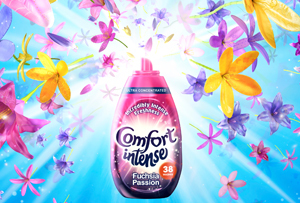 Unilever's underlying sales were up 4.1% to €53.3bn (£40.4bn), ahead of its expected growth of 2-4%. The firm said underlying sales growth in emerging markets – where it makes more than half of its sales – increased from 5.7% in 2014 to 7.1%. Core operating profit was up 12% to €7.9bn. Not bad, but Unilever boss Paul Polman warned a choppy 2016 was on the horizon. ‘Despite a challenging year with slower global economic growth, intensifying geopolitical instability and high currency and commodity volatility, we have again grown ahead of our markets,’ he said. Consumer demand was ‘fragile’ and the firm said many emerging markets continued to be weak – notably those dependent on oil and other commodity exports, while market growth in developed markets was ‘negligible’. A firm of Unilever’s size is likely to run into some difficulties along its quest for growth. Among its latest results, the company also provided an acknowledgement of its involvement in ‘a number of ongoing investigations by national competition authorities’, and said for the second half of 2015 it had taken an €86m charge related to these cases. It’ll be hoping there won’t be too many more of those coming its way in 2016 – Unilever has been streamlining costs in an effort to make the firm a ‘more resilient business’ and a further focus on 'cost discipline' for the year ahead could be bad news for staff. Tough market conditions and weak demand alongside Polman’s call for caution suggest Unilever’s durability will be tested in the coming months. But then Polman is a patient (and single-minded) chief executive. Well-known for prioritising sustainability and combining it with commerce, he feels in the long-term such an approach is what's needed to boost profits and grow economies. As it gears up for a tough 2016, Unilever can take heart from last year – the firm had warned 2015 would be tricky to navigate and it didn't fare too badly after all.